The above image is 27 cm x 18 cm x 72 pixels per inch. Feel free to use it as a desktop picture. 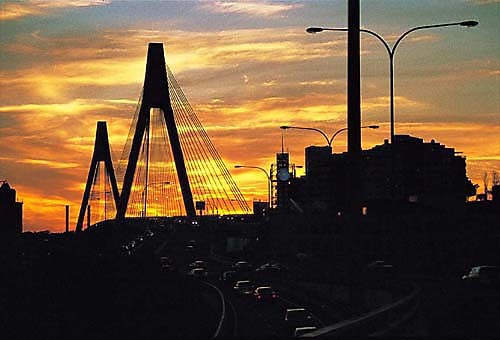 Our workshop is situated approximately mid way between Sydney CBD and Parramatta CBD, and approximately 600 metres due east of Bicentennial Park. OVERS PIANOS - SYDNEY, AUST. Catch the fast train to Concord West station from Town Hall station platform 2, or from Central station platform 18 (check the overhead indicator boards on the platform, to ensure that you board the correct train). The trip to Concord West takes approximately 15 minutes. From the Concord West station pedestrian bridge, walk east along Victoria Avenue until you reach Concord Road (350 metres) at the traffic lights ('T' intersection). You will see our workshop on the opposite (eastern) side of the road, two shops north of the intersection. Travel to Central Station, then to Concord West (as above). Travel to Strathfield station, then catch a train to Concord West (as above). Alternatively, from the north exit of Strathfield station, take a No. 458 or 461 bus (the 'Ryde Shops' bus)* as far as Victoria Ave, Concord West. * Check the destination sign on the front of the bus as well as the route number, as these buses also travel to Burwood Station and the city. From the Sydney CBD or Parramatta CBD, Concord West can by reached via Victoria Road to Ryde, or Parramatta Road to North Strathfield. From Ryde, Church St runs directly into Concord Road and from there, through to our workshop. From North Strathfield, Concord Road runs directly to our workshop. Catch the Airport Express bus from the Domestic or International terminal to Burwood Station. From Burwood Station, catch a train to Concord West, or a No. 458 bus (the Ryde shops bus) as far as Victoria Ave., Concord West. If travelling by taxi from the airport - the tariff will cost between AUD $25.00 to $35.00, depending on traffic conditions. Copyright © 1998, Overs Pianos.